I met up with locals Karkis and Joey for a great day up at Rogers Pass. Conditions were starting to settle and the snow was drying out from the recent high freezing levels to offer some great powder skiing, a little wind blown in places but who cares. Splitters rule! All three of us were on splitboards with the Dynafit setup. It’s actually thanks to these guys in a short film on Greg Hill’s site that I even came across this set up. It makes such perfect sense when you think about it. But I hadn’t until I saw these guys using it. Genius. 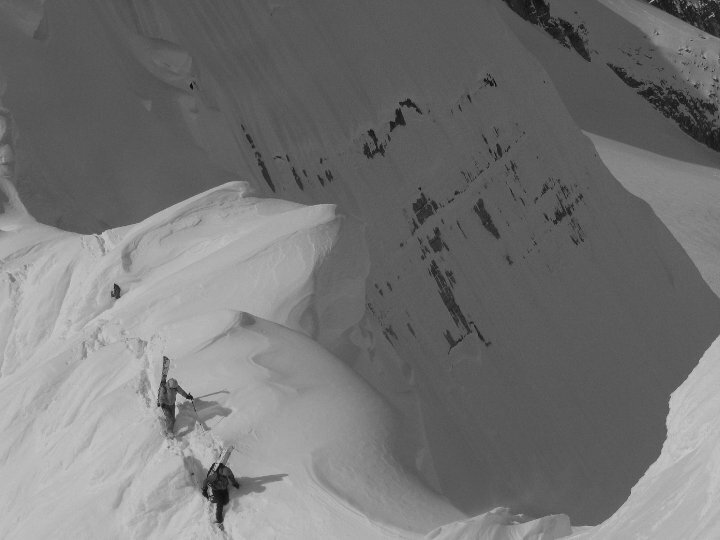 We headed up the Asulkan trail unsure of the day’s object, a few possibilities on offer: the Forever Young Couloir (my nemesis), over Sapphire Col and into the Lilly Glacier or the Jupiter Traverse. We plumped for the slightly “cockier” option of the Jupiter Traverse, a Rogers Pass Classic which both Joey and Karkis had done eight times between them. At least I was in good hands. 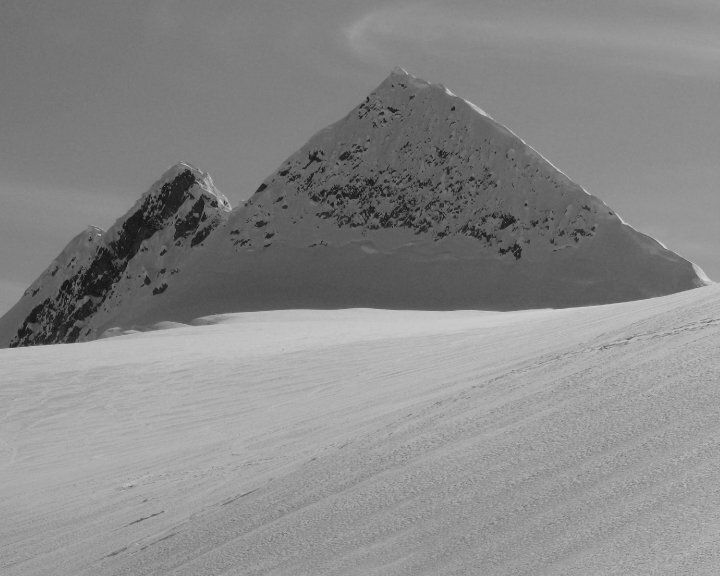 The tour involves skinning up to Sapphire Col and then climbing Castor Peak, Leda Peak (with a sketchy downclimb of Leda Peak) before finally climbing Pollux and getting the board on your feet (my favorite bit) and boarding down the Thorington Descent. 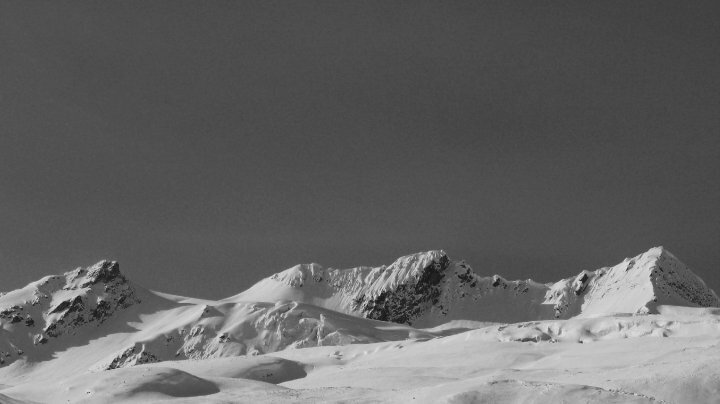 Boarding down the first steep section from Pollux was magic, with great snow….., just not long enough. After that it was a nice cruisy board back down varied pitches to the Mouse Trap where the real fun began. These guys have skiing out in split mode down to a tee. Something I definitely need to work on. It was a long day and my first real tour for a month after recovering from frost bite. We were on the go for a total of 8 hours and a vertical gain of 1900m/6200 feet. For more trip reports in the Revelstoke area, click here. 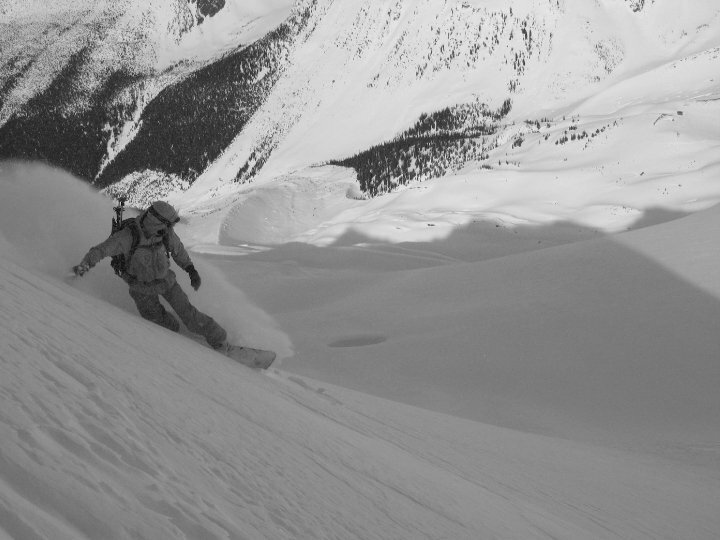 This entry was posted in Revelstoke, Selkirks, British Columbia and tagged Backcountry, Backcountry skiing, Jupiter Traverse, Revelstoke, Rogers Pass, Selkirks, Skiing, Snowboarding, Splitboarding, Thorington Descent. Bookmark the permalink.